Takt time derived from the German word Taktzeit, which loosely translates to “rhythmic time” or “keeping a beat”, similar to the ticking of a metronome or the movement of a conductor’s baton. Takt time first was used as a production management tool in the German aircraft industry in the 1930s. It was the interval at which aircraft were moved ahead to the next production station. The concept was widely utilized within Toyota in the 1950s and was in widespread use throughout the Toyota supply base by the late 1960s. It should be noted that the values ​​must be expressed in the same units of measurement, usually in seconds. 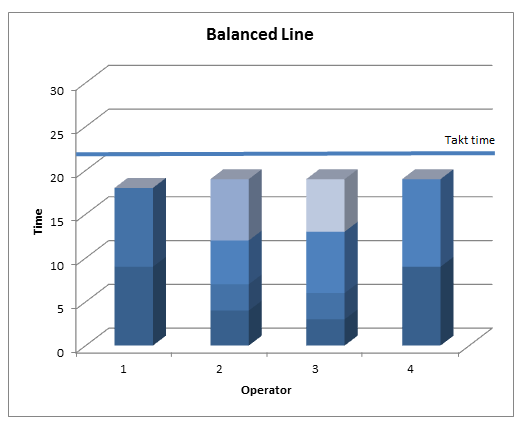 The visual presentation of Takt time is shown on the Line Balance chart. Line Balancing is a production strategy that involves setting an intended rate of production for required components to be fabricated within a particular time frame. 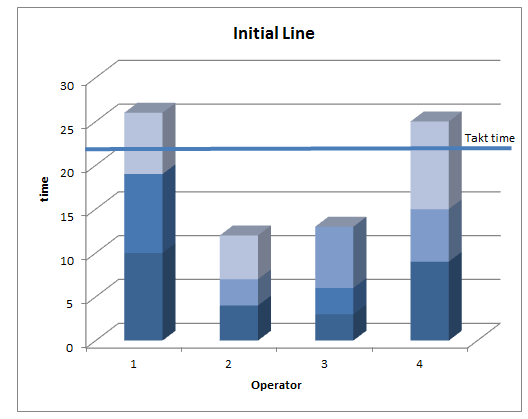 In addition, effective line balancing requires assuring that every line segment's production quota can be met within the time frame using the available production capacity. Flexible working processes and equipment, given the fact that a Takt Time variation can lead to increase or decrease of needed staff for the same operations. Q1: How many Takt Time there is in a Company? A: There is 1 Takt Time for each product's family. Q2: How often Takt Time has to be calculated? 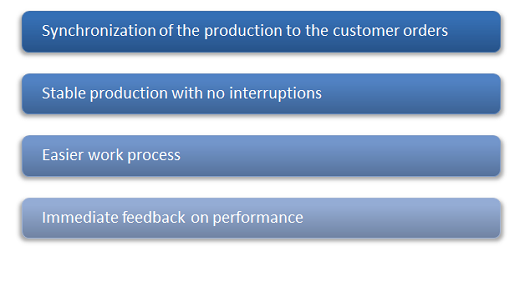 A: Each time there is a significant variation in customer demand or available time. Q3: It is possible to change the Takt Time? A: Just changing the available time but with related costs. Q4: There is a Takt Time for each machine? A: No, there is a Takt Time for each Value Stream. 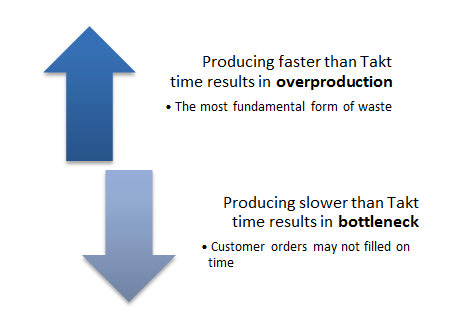 Q5: There are resources to better understand Takt Time Calculation? A: Yes! 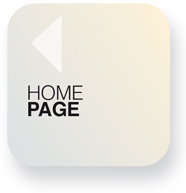 Dowload Takt Time Solved Exercises or use Takt Time Calculator On Line.